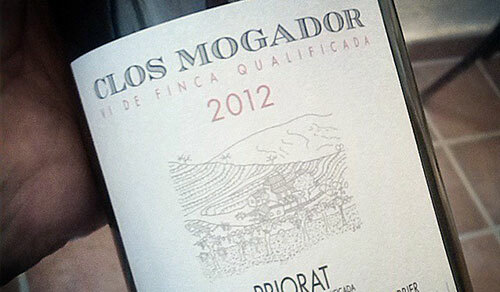 Most anyone who knows Priorat wines knows the story of Clos Mogador. If not, buy the book. The winery is as much Priorat as Priorat is it. That’s an oversimplification and a bit ridiculous but it’s largely true for the general public who just want that one or two sentence nugget to wrap their heads around a small Denomination of Origin that has some 100+ cellars in it. The namesake Clos Mogador wine, at 56€ is their top-end wine and generally gets no end of rave reviews. When tasting the 2008 vintage for the last version of the Priorat book, I wasn’t blown away. A very good wine, definitely, but not something that was region-defining or mind-blowing. I respected that wine and enjoyed it but left it at that. This may have been due to tasting it at the winery in the company of some sommelier from Brazil who was dragging his whole family along with him and driving me batshit along the way, although I’m sure it was even more painful for René Jr who was taking us around. Nobody ever mentions how “terroir” can be greatly affected by the assholes you might find in it. In February, we started the re-tasting for the second edition of the Priorat book. This is no small feat as there are over 300 wines and they are generally quite full-bodied. Where you might be able to taste 50 Rieslings or other lighter wines in a day, about 15-20 Priorat wines are about it. Anymore and your palate burns out. We were also tasting everything blind and while I placed the wines in the sleeves, once there, I really had no idea which wine was which amongst the 20. So somewhere along the line, maybe in panel number eight, I tasted one of the wines and thought, “Nice, well-made but nothing exploding here.” I let it sit for a moment and came back to it and the evolution was immediate, giving me cause to pause longer as it just kept opening up presenting this intricate, amazing wine. I noted that the four other tasters with me on the panel were also concentrating on this wine as well. Once we pulled off the sleeves, we saw why as there was Senyor Vi de Finca, Clos Mogador staring back at us. Now it’s true that 2012 was a pretty tremendous year for Priorat. One of these “difficult” harvests that everyone talks about, it produced nuanced wines and anything made by anyone with the least degree of ability tastes great from that year. I suspect 2014 will be similar if not even better. But this Clos Mogador really went above and beyond the call of duty to create one of those truly memorable wines that you come back to days or months after you taste it. There were admittedly others (this is a DOQ, not just a DO after all) and with the Priorat book coming soon, everyone will share in this as well.